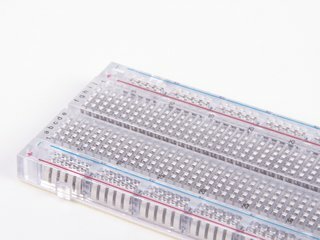 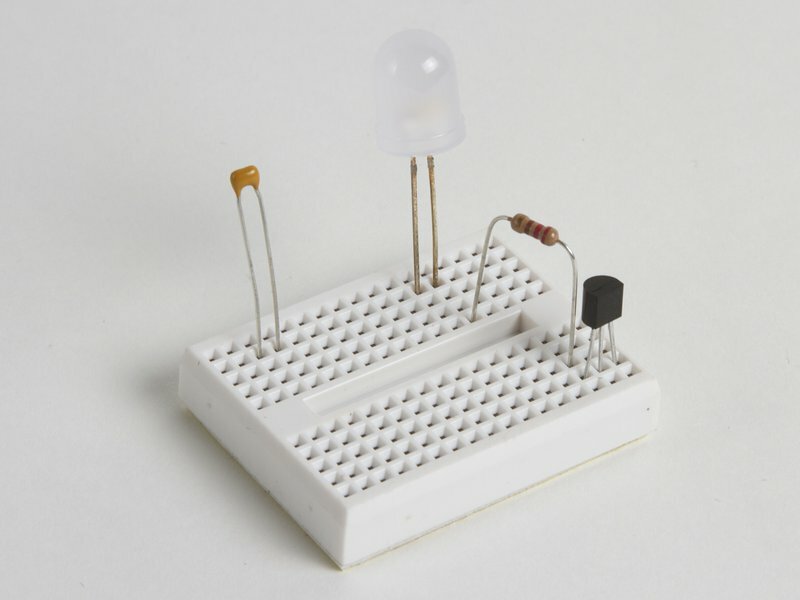 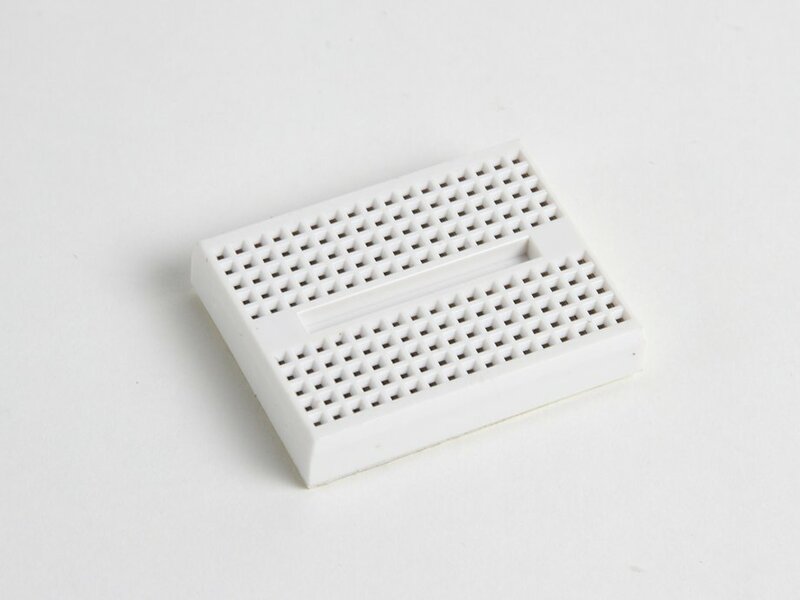 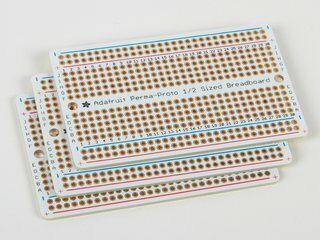 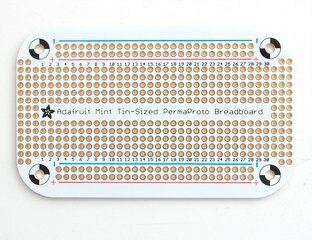 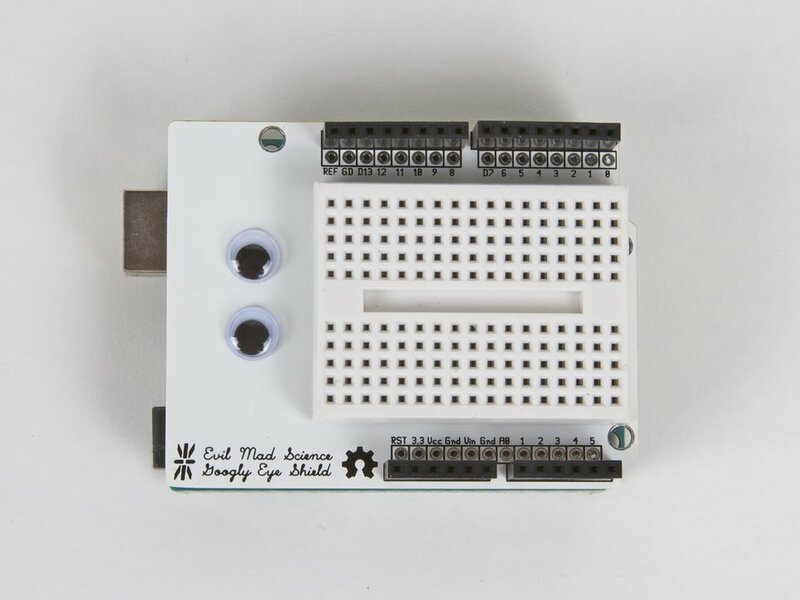 This handy-dandy itty-bitty "solderless" electronic breadboard measures roughly 1.4" X 1.6" and has an adhesive back for sticking to just about anything. 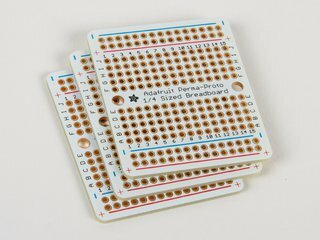 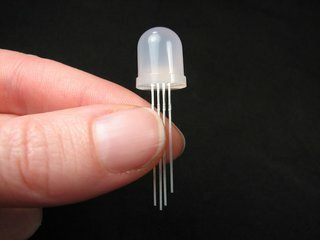 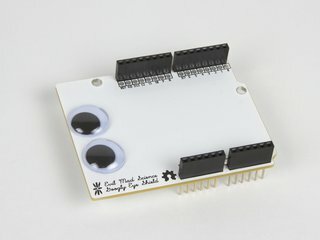 Small enough to fit on Arduino shields, even! 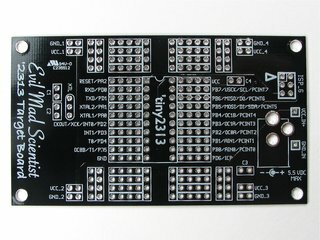 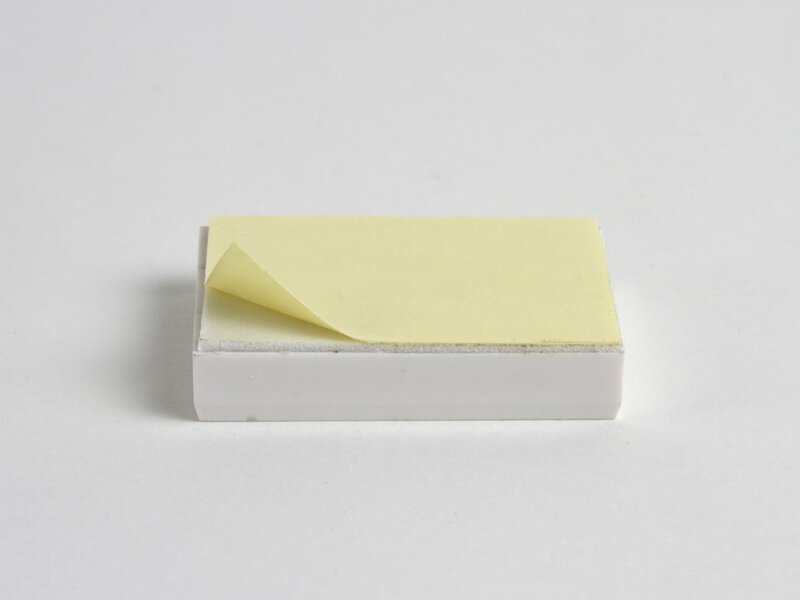 Standard 0.1" pitch.